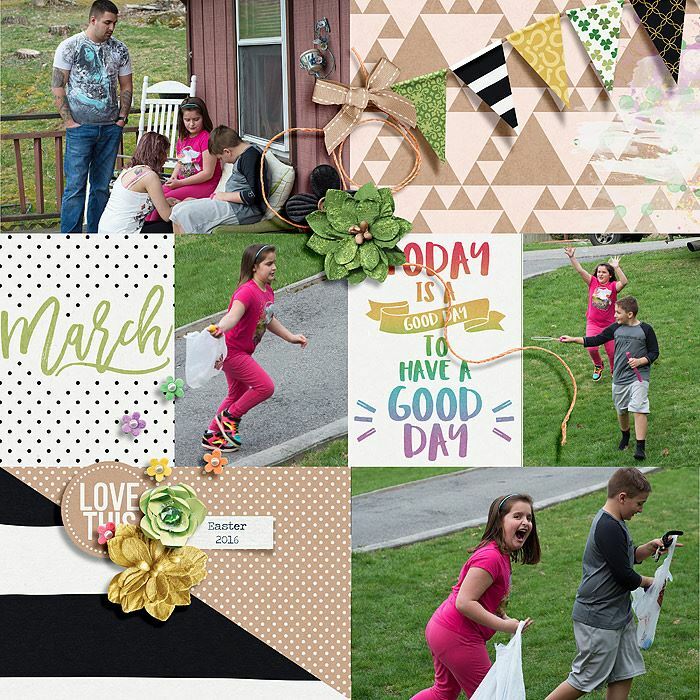 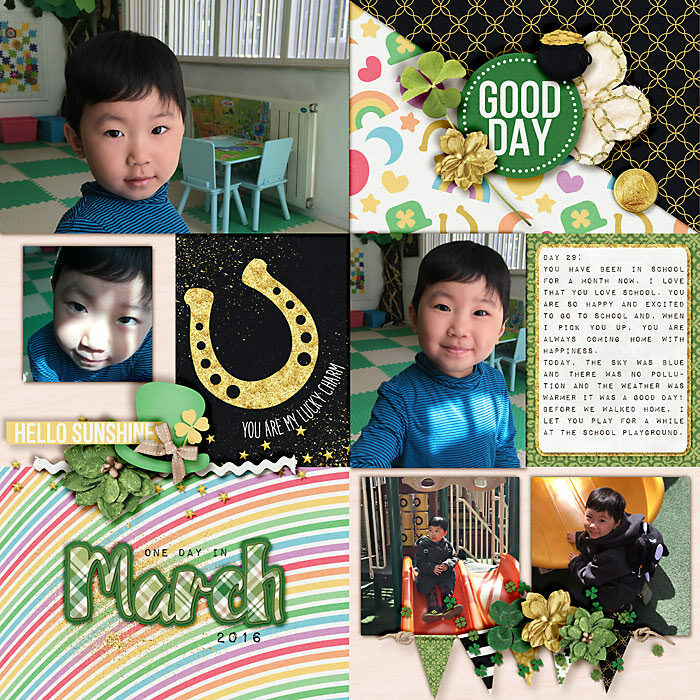 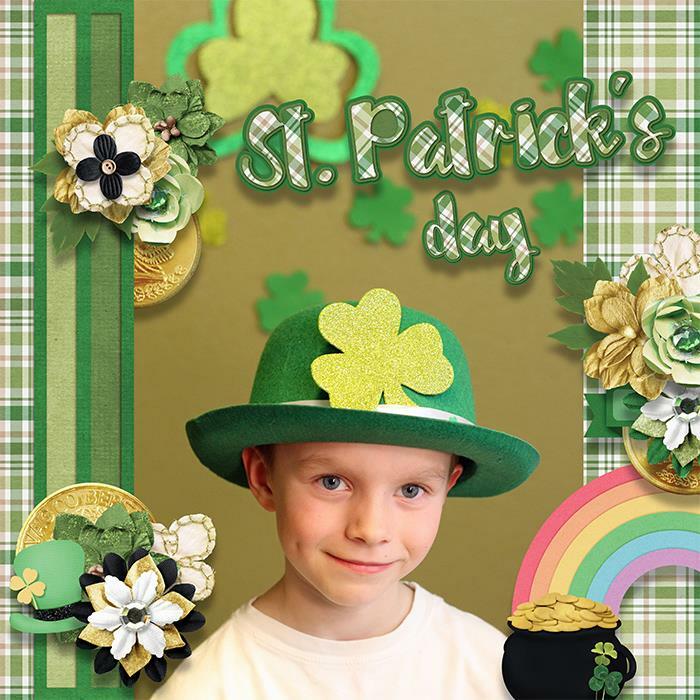 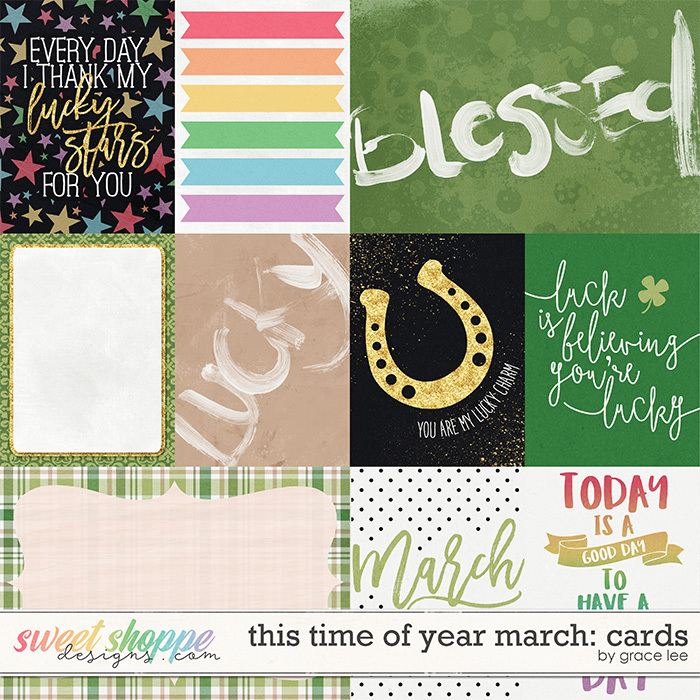 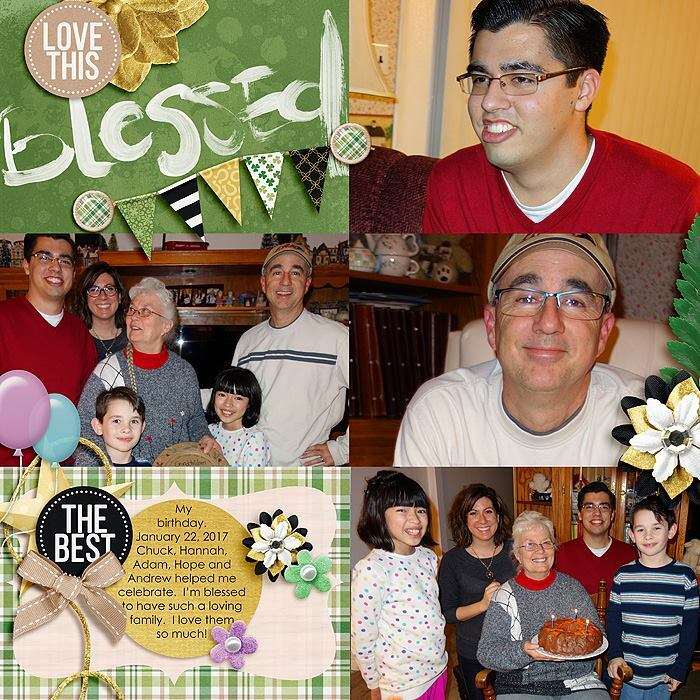 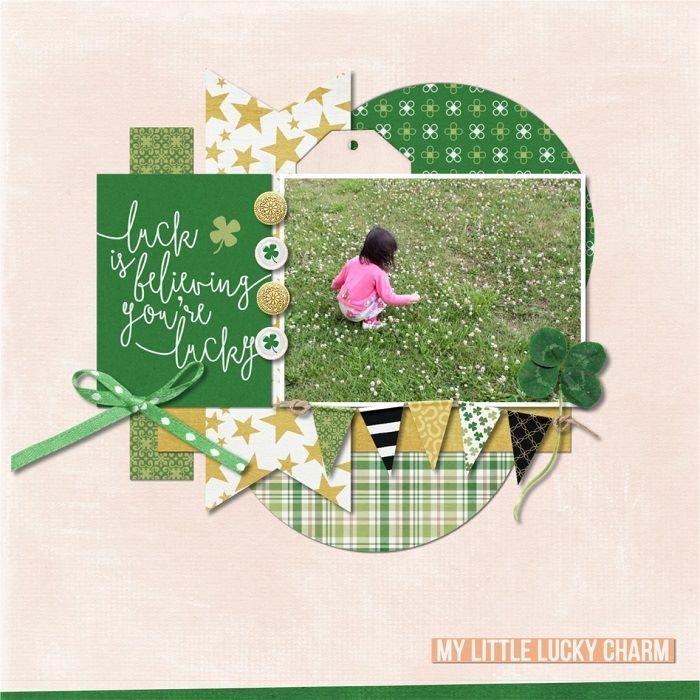 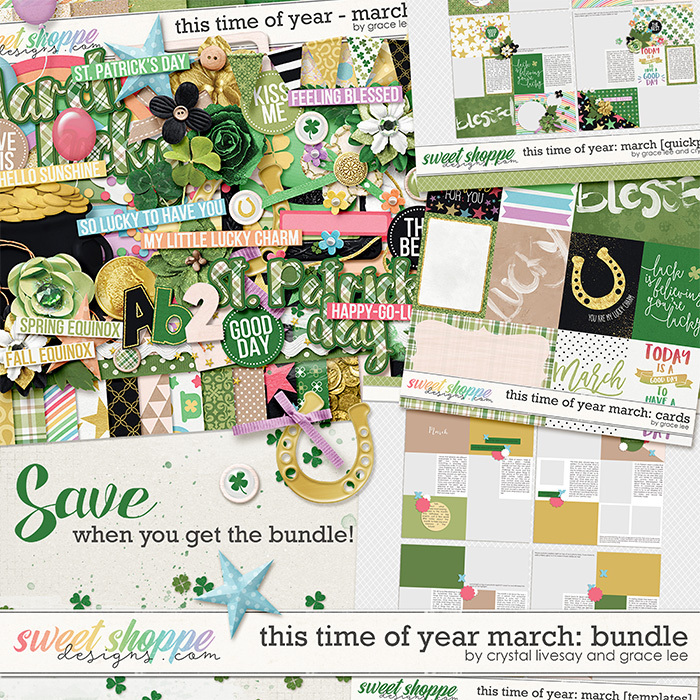 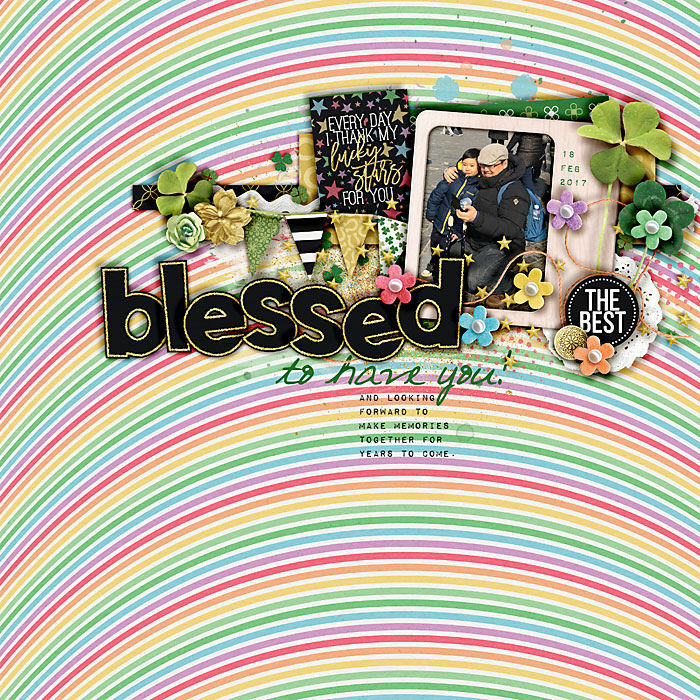 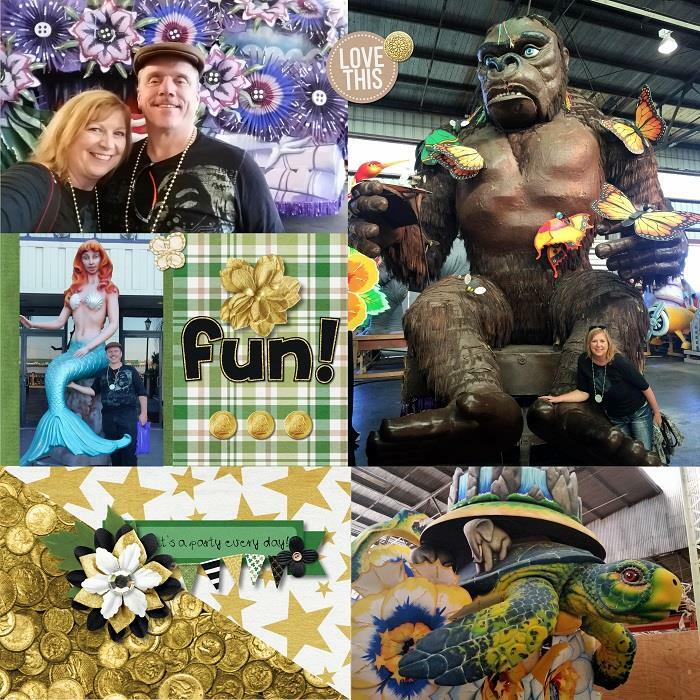 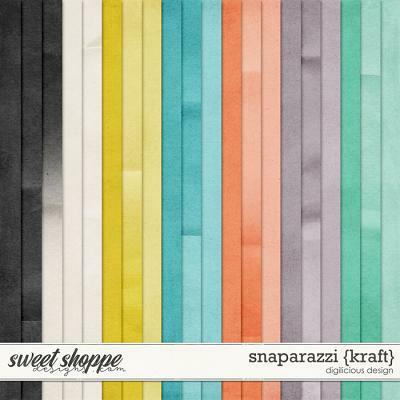 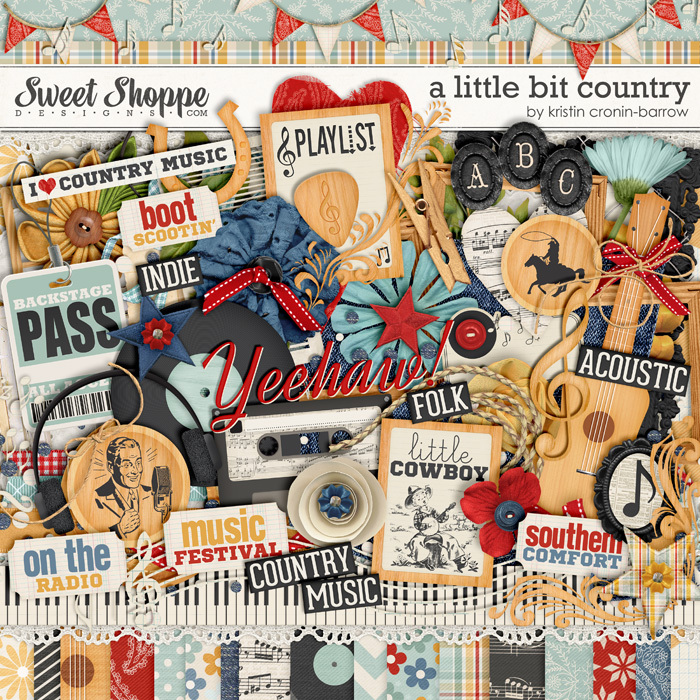 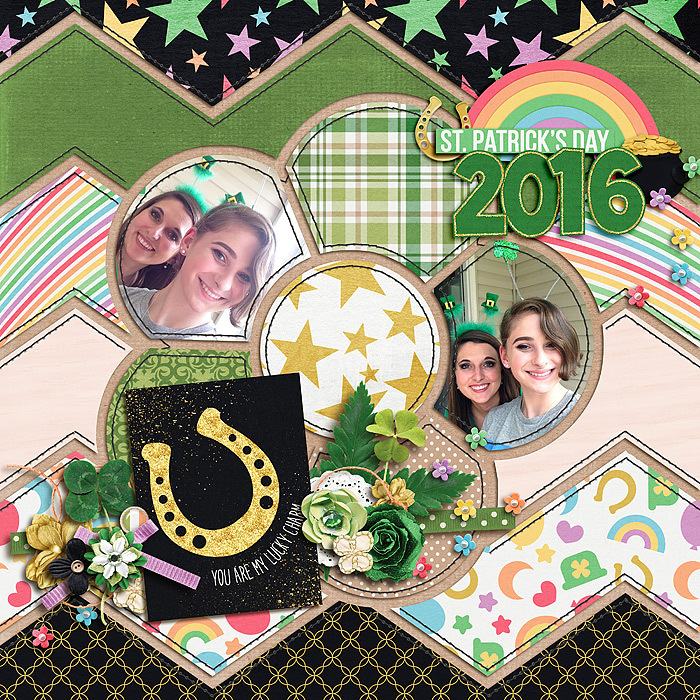 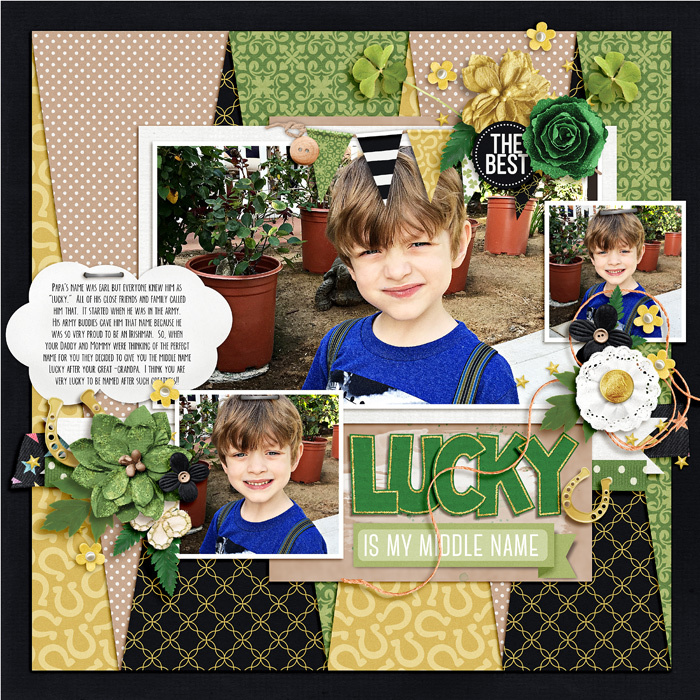 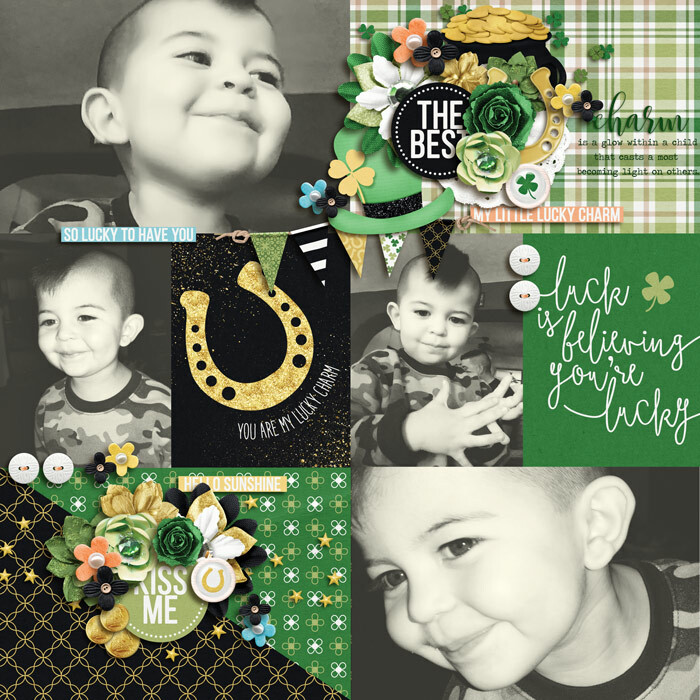 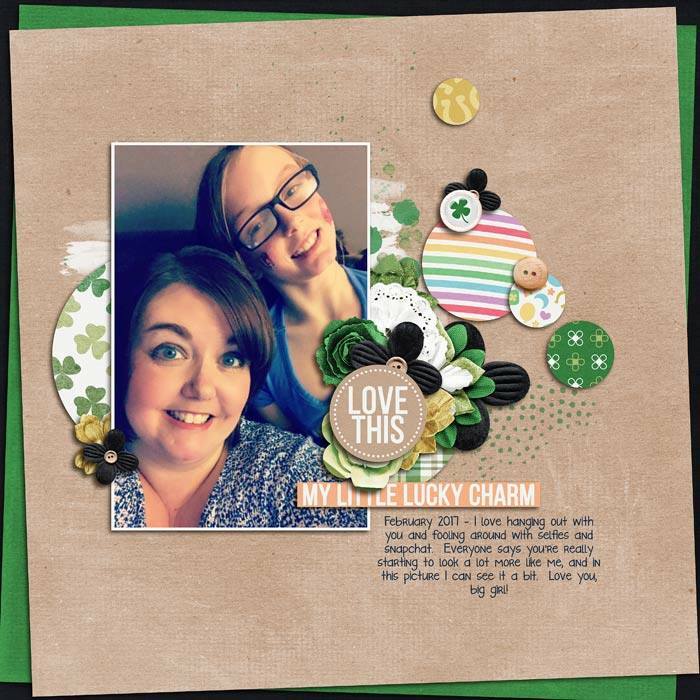 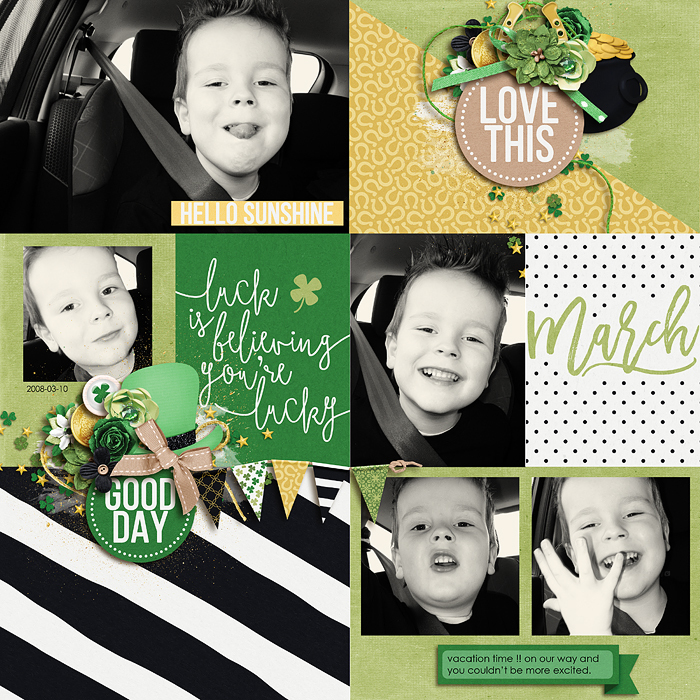 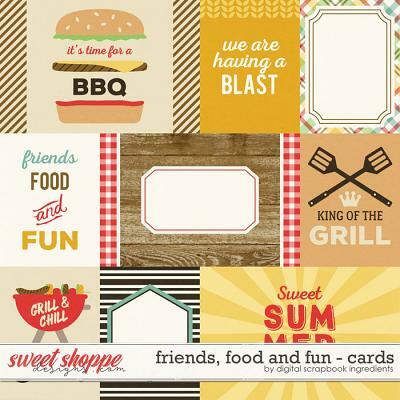 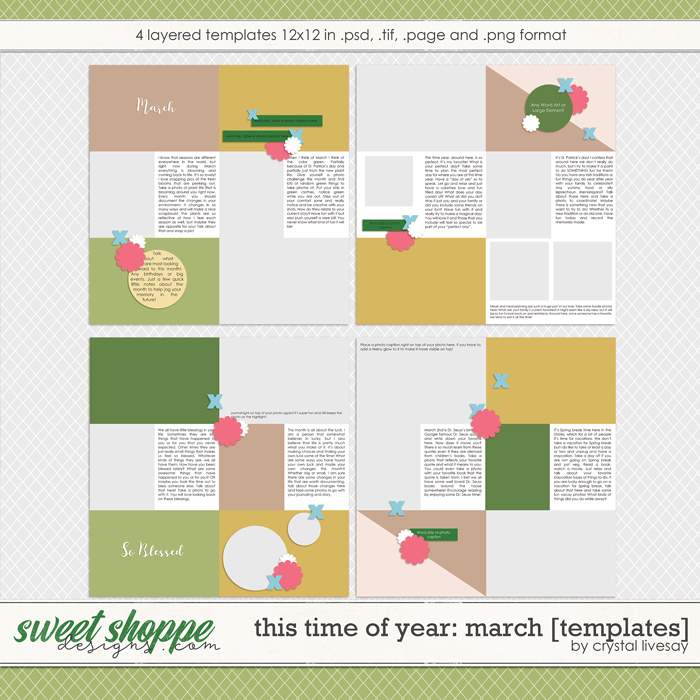 A digital scrapbooking collection by Crystal Livesay and Grace Lee, This Time of Year – March: Bundle is a fun and vibrant tribute to the month that brings us warmer weather, renewal, and St. Patrick’s Day. 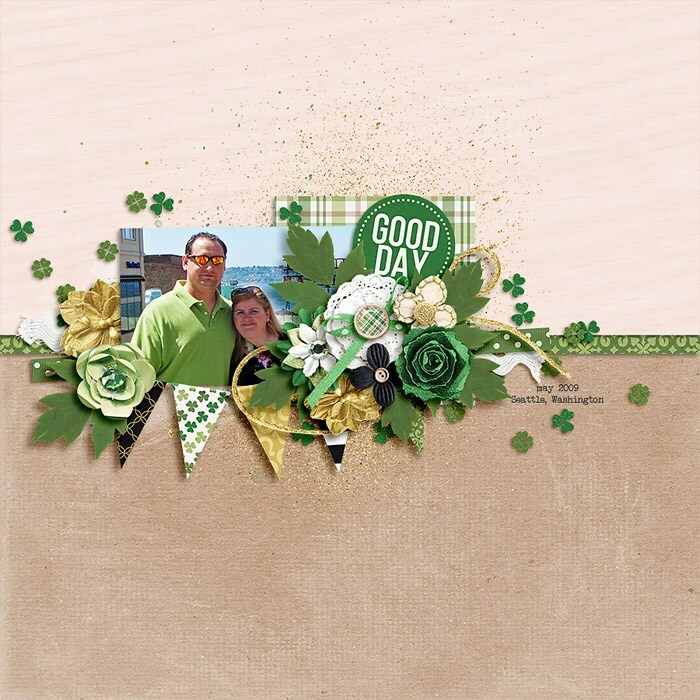 Spring is in the air and you will want to document your March with flowers, lucky clovers, a rainbow and a pot of gold! 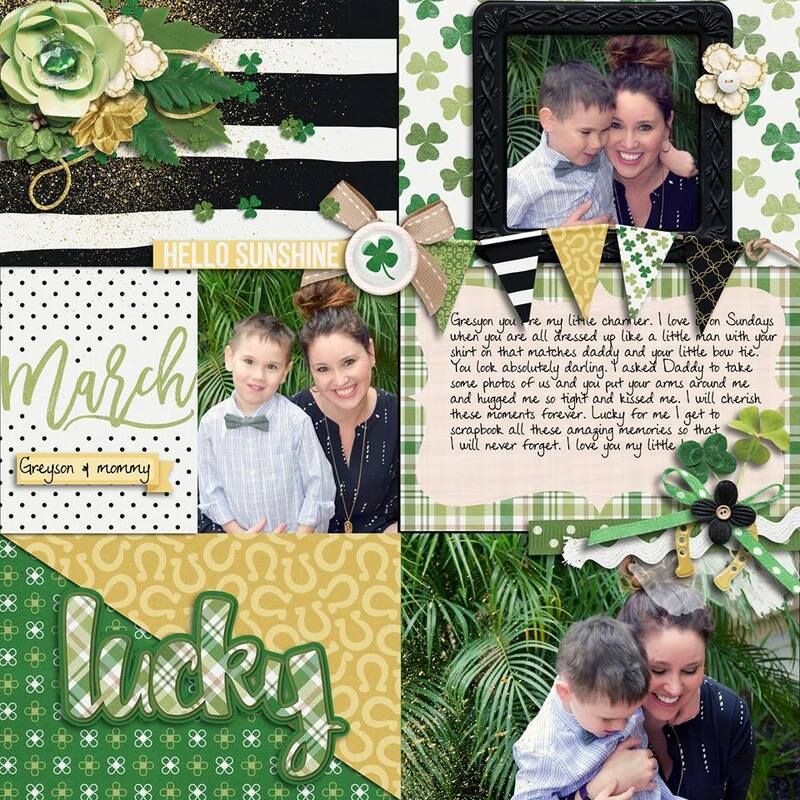 You don’t have to be Irish to find multiple ways to use this versatile kit for all of your family memories and celebrations. 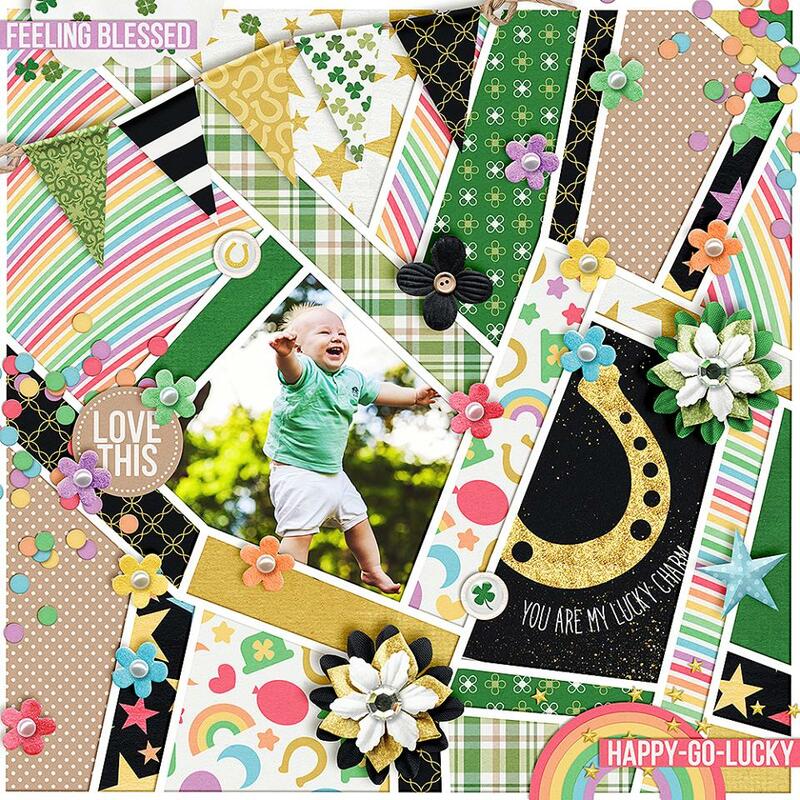 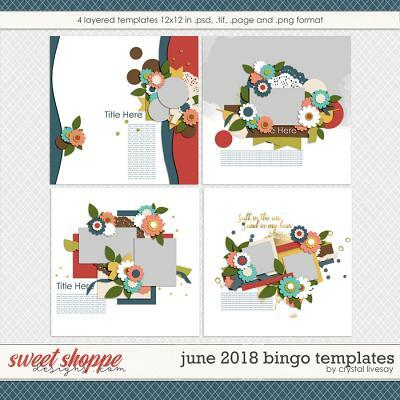 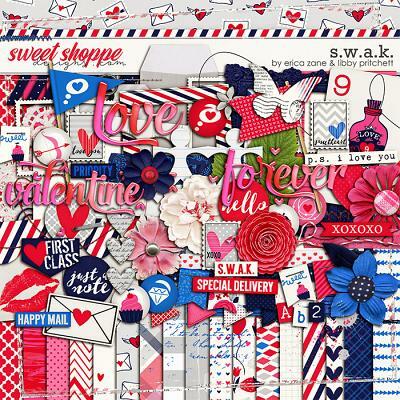 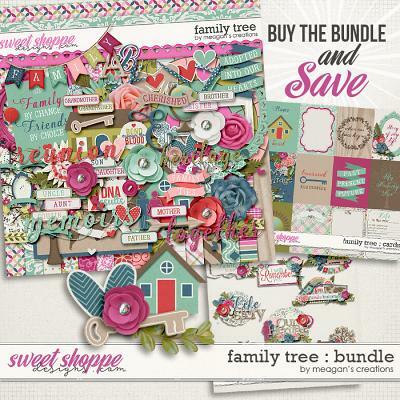 This bundle includes the kit: 23 papers (15 patterns and 8 solids) 76 Elements (3 balloons, 1 banner, 3 bows, 4 brads, 3 buttons, 1 cloud, 1 coin, 10 flowers, 4 foliage, 2 frames, 1 hat, 1 horseshoe, 8 labels, 1 lips, 3 paint, 1 pot of gold, 1 rainbow, 2 ribbons, 1 ricrac, 3 scatters, 3 stars, 2 strings, 1 tag, 4 titles, 12 word art) and 3 full alphas.